Leaving your child for the first time can make any parent or carer feel anxious. That is why we do our best to make it as stress free as possible. Our Childcare Team understand that babies are inquisitive and observe everything around them. Even before they can talk, they learn how to let you know what they’re thinking and feeling through body movement and facial expressions, as well as grasping that difficult task of hand-eye co-ordination. We have a nurturing, dedicated baby team on hand to give lots of cuddles and conversation to our babies and to make sure they have the right resources, including lots of different texture play toys, access to family photos and stimulation from mirrors and play books. We have a sleep area as well as an abundance of rugs and specially-designed areas where babies can explore, roll around and get to grips with becoming mobile. 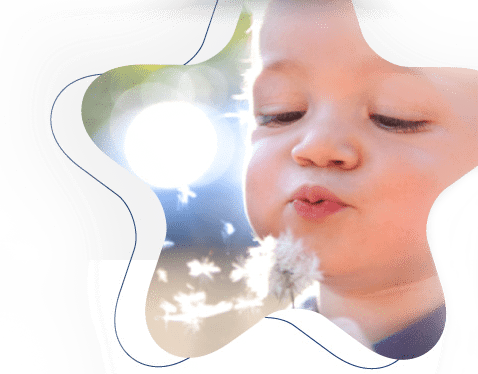 In Little Stars, babies and toddlers are encouraged to learn by using their senses, exploring the world around them through a range of activities, in a safe and secure environment with familiar, friendly faces. Activities include singing, story time, messy and outdoor play, which allow the children to explore independently and develop confidence. We also give lots of time, practice and encouragement when your baby achieves those first milestones such as sitting up and standing.